Thought I’d share some markets and contests today, as well as a conference I attended last year. Killer Nashville is a great little conference for mystery writers and it’s coming up in August. They hold a contest too but the deadline is fast approaching–June 1st. If you place or win, your book will be considered by Five Star. The editor is the finalist judge. One of the perks of this contest is that you don’t have to attend the conference to enter the contest, but certainly you’ll want to if you learn you final. The Killer Nashville conference is small, intimate and has great sessions. Even if you don’t write mysteries it’s a fun conference. They stage a crime for you to solve and they have some interesting speakers–some of them REAL law enforcement officers. Take a look at their blog HERE. To learn more about Killer Nashville, go HERE and tour the site carefully. I hope I see you there! Here’s a novel contest I learned about from friend Linda F. Todd. The 2012 prizewinner will receive a publishing contract with a $7,500 advance and a $5,000 marketing budget. The winning novel will be published in the Spring of 2013 in a hardcover or trade paperback edition by Counterpoint/Softskull Press and distributed to the book trade by Publishers Group West. The deadline is June 15th and there are no fees to enter. Pill Hill Press has a lot going on these days. Check out their website. They’re inviting recipes for a cookbook and some stories for anthologies. Look at their opportunities for publication HERE. Here’s a market for women writers over 60. There are markets, contests and conferences everywhere. Do you have any favorites? Southern Writers Magazine, the magazine I write for, is hosting a short story contest. And this summer they’ll publish a bonus issue of Southern short stories by our readers. Whether you’re already a well-known novelist, or a newcomer ready to get in print, the Southern Writers Short Story Contest is a great opportunity. 1. Your story must take place in a Southern setting or feature a character from the South. 2. Manuscript must be 1000 words or less, 12 pt Times or Times New Roman, double-spaced. 3. Your name, email address and mailing address must be on page 1, with your title and story beginning on page 2. 4. No erotica, profanity or otherwise questionable content will be considered. 5. Submission and entry fee must be received by 12:01 AM May 2, 2012. Go HERE for more info. 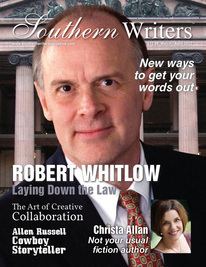 We’d love for you to subscribe to Southern Writers Magazine. It’s absolutely crammed full of good articles and great tips and suggestions for marketing, writing, networking–you name, this magazine has it! My article on Louisiana novelist Christa Allan is in this latest issue. Would love for you to check it out. Some of you know how much I love The First Line Literary Magazine. Editor David LaBounty spoke at one of our BWG conferences: great session if you need a speaker on small presses, literary magazines, poetry, plays or short stories. The purpose of The First Line is to jump start the imagination–also, an exercise in creativity for writers and a chance for readers to see how many different directions we can take when we start from the same place. Go HERE to learn more and get a list of deadlines and first lines. I’m excited that The First Line is now available on Kindle. Go HERE to subscribe or purchase a single copy.